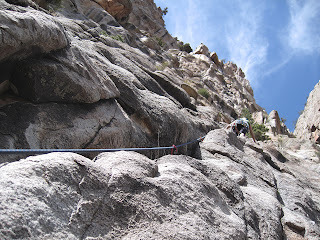 Unaweep Canyon is a vast and amazing venue for traditional and alpine style climbing. It's vast granite walls are filled with a lifetime of established routes as well as many many possibilities for future development. The boulder fields of Dakota and Burro Canyon Sandstone that you pass through en route to the granite offer an almost endless supply of boulders, many of which have been developed but many of which are yet to be explored. The vast granite walls of Unaweep saw very little attention in terms of rock climbing until the 1980's and 1990's when climber K.C. Baum and his friends spent a lot of time in the canyon developing the main routes in the canyon, many of which are Unaweep classics still today. In the subsequent decades, development in Unaweep has been slow. 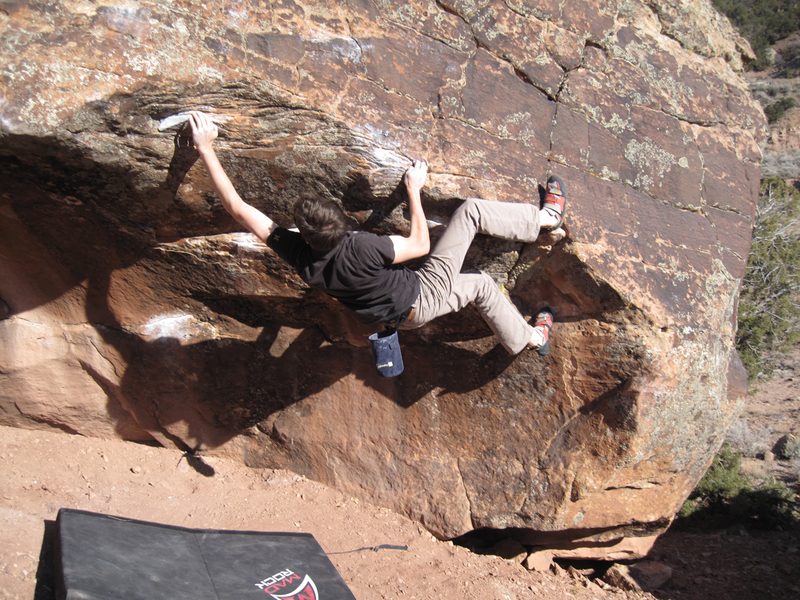 In recent years a more exploratory group of young climbers, especially Rob Pizem and others, have developed new routes in the canyon. 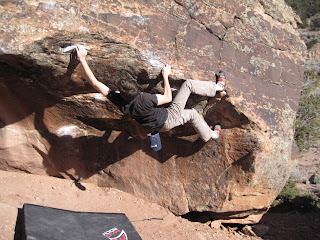 Many of these new routes are very difficult. In today's climbing landscape the vast boulderfields of Nine Mile Hill, a long sloping hill that precedes the main granite as you approach from the town of Whitewater, have grown more popular than the granite itself. These boulders consist of Dakota and Burro Canyon sandstone and are sometimes flaky and fragile. 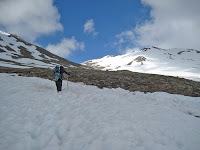 However, there are many classic areas, some of which were first climbed two decades ago or more. Some of the classic areas include the Fossil Boulder and the Plethora Boulders, Chinese Algebra, the Ice Cubes, just to name a few. From Grand Junction take Highway 50 south towards Montrose and Delta. After 9 miles you will come to a small town called Whitewater. Exit Highway 50 to the west onto Highway 141 toward Naturita, CO. For the first 14 miles you will climb slowly up the slightly mis-named "Nine Mile Hill". The vast amount of the bouldering as well as several crags (such as the Grit Wall and the Peter Wall) are located along this section. The rock is almost entirely Dakota and Burro Canyon Sandstone. After about ten miles you will start to enter the granite inner canyon. You reach the turnoff for Divide Road at mile 14.5. The Access Fund trailhead is found 2.1 miles past the turn off to Divide Road. It provides access to some of the most popular cliffs in the canyon and for good reason. The Access Fund trail allows you to legally reach the base of the Sunday Wall, the Hidden Valley Wall, and the Fortress Wall: enough vertical terrain to provide many hours of entertainment. 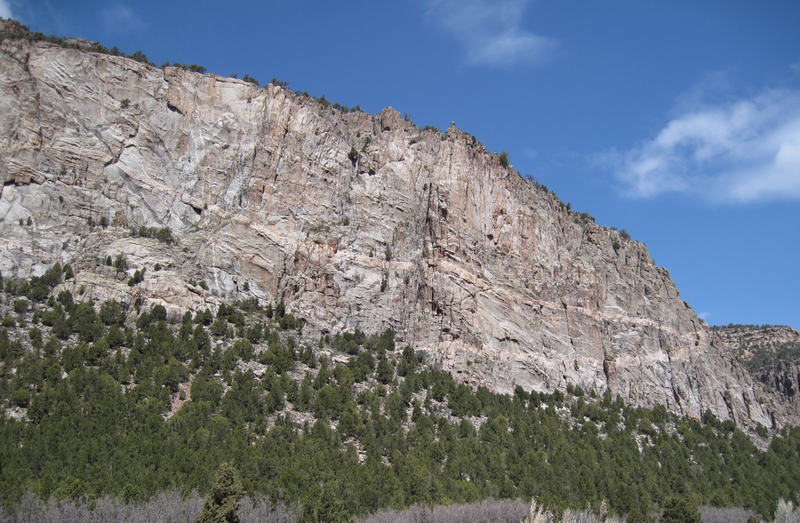 The Mother's Buttress area is probably the second most busy climbing area of the canyon. It is located 3.1 miles past the turn off to Divide Road, about a mile past the Access Fund trail. 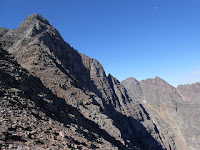 There are a variety of routes from some of the most user-friendly single pitch trad routes to some truly challenging and committing grade III multi-pitch adventures. The Upper and Middle Mother's Buttress are better known for long, challenging multi-pitch routes where the Lower Mother's Buttress is popular for its concentration of easy and moderate trad routes, some of which can be top-roped by scrambling up from the formation's east side. The Sun Tower area is a collection of fun spires and cliffs that make for a good smattering of traditional and sport climbs. This area is not as busy as the Access Fund or Lower Mother's, so it is unlikely you will encounter a crowd of climbers here. The Sun Tower is located just east of mm 135 in the main canyon. The access is on private property but is allowed via a well-marked and developed trail. 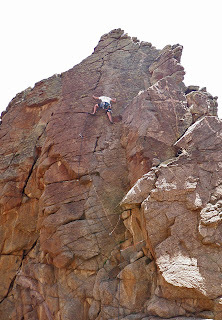 This is only an introduction to the climbing available in Unaweep Canyon. 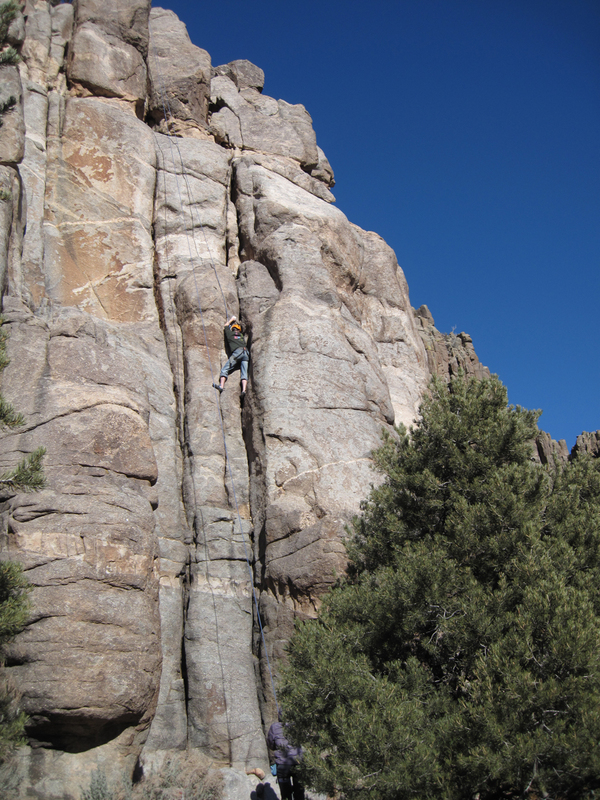 Some of the other popular destinations include: The Mighty Mouse Wall, the Divide Wall, the Rainbow Buttress, the Grit Wall, the Unaweep Wall, Castle Rock, the Thimble, and others.